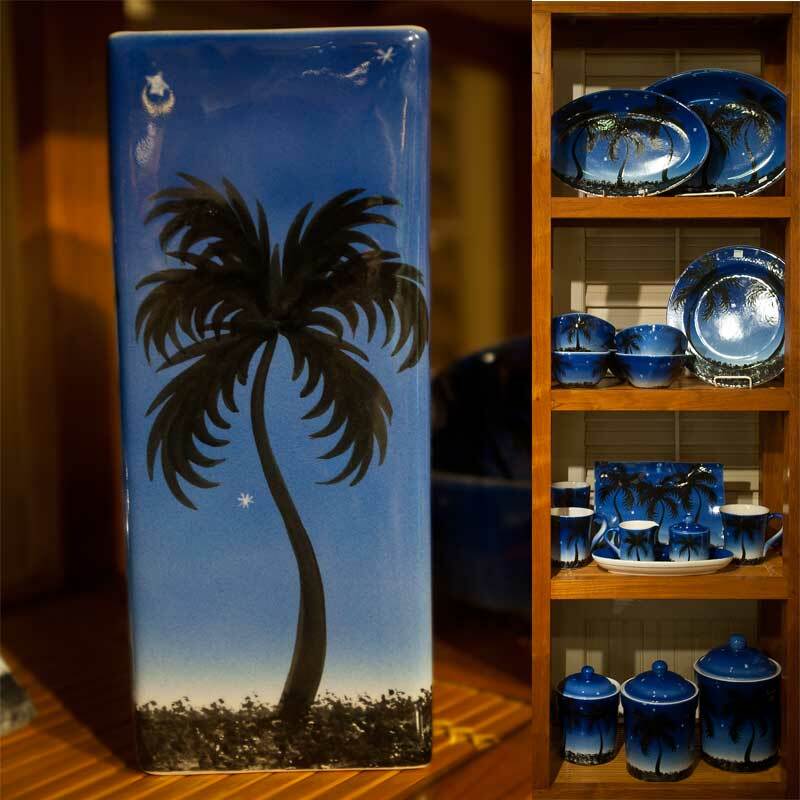 Bring home a bouquet of anthuriums, orchids and lillies with this hand painted pottery, created on Kauai by renowned artist Joanna Carolan. 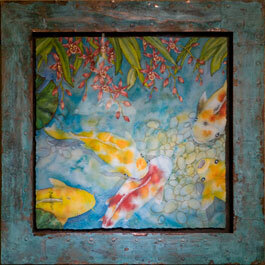 The Midnight Series created on Kauai by renowned artist Joanna Carolan. 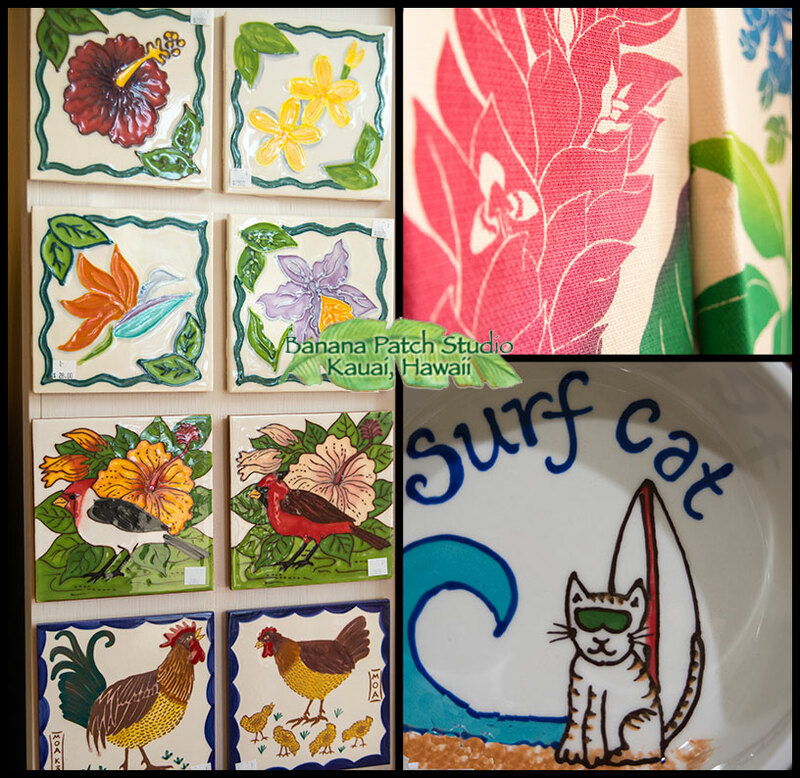 These hand painted ceramics come as plates, bowls, serving dishes, vases, cups of many sizes, canisters and serving sets. 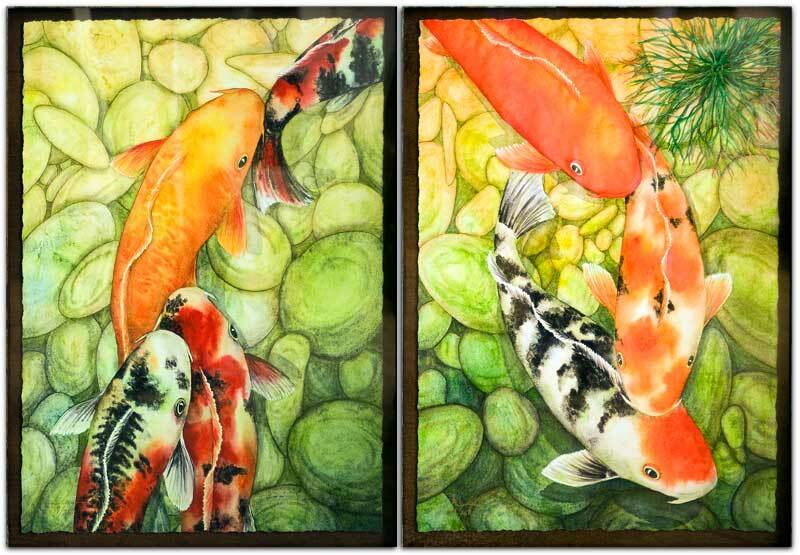 Another beautiful koi series, this one a tryptic limited edition giclee prints, created on Kauai by renowned artist Joanna Carolan. 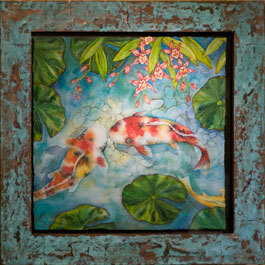 Prints are available framed in Monkeypod and copper. Red is the color of Valentine’s Day. And in Kauai, nothing says red like Cardinals. 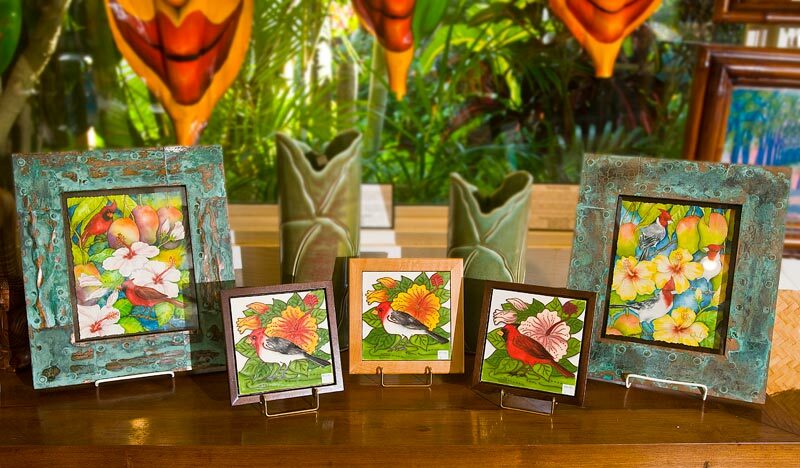 Bring home a couple Brazilian and Northern Cardinals with these hand painted tiles and limited edition giclee prints, created on Kauai by renowned artist Joanna Carolan.